Green Heron by Gary Tyson via Birdshare. Yellow Warbler digiscoped with an iPhone 3G. Photo by Charles Eldermire. Spotted Towhee. Photo by Jamie Chavez using a Nikon CoolPix 4100 and a Zeiss Diascope 85T FL spotting scope..
Nesting Great Blue Herons digiscoped with an iPhone 3G. Photo by Charles Eldermire. Anna's Hummingbird. Photo by Jamie Chavez using a Canon EOS 350D, Zeiss Diascope 85 T FL, Zeiss camera adapter, Canon remote switch. Artfully backlit Pied-billed Grebe, digiscoped with an iPhone 3G. Photo by Charles Eldermire. Hairy Woodpecker. Photo by Jamie Chavez using a Canon EOS 350D, Zeiss Diascope 85 T FL, Zeiss camera adapter, Canon remote switch. Fledgling Eastern Bluebird digiscoped with an iPhone 3G. Photo by Charles Eldermire. House Wren. Photo by Gary Tyson with a Nikon E5600 camera through a Nikon Fieldscope IIIED. Merlin digiscoped with an iPhone 3G. Photo by Charles Eldermire. Placing the lens of a digital camera to the eyepiece of a spotting scope to take photos is called “digiscoping.” It’s an inexpensive way to take good pictures without a long, heavy telephoto lens and the expensive camera body that goes with it. There have been huge improvements in scopes and digital cameras since 1999 when Lawrence Poh of Malaysia is credited with inventing digiscoping. One of the most significant has been the advent of smartphones with good cameras, and this is now arguably the best tool for digiscoping—it’s certainly the most convenient. There can be different goals in digiscoping. It can be practiced slowly and patiently to capture frame-worthy photos, whether detail-rich or artistically blurred. More often, it’s a handy way to capture record shots to remind yourself of a special moment or to back up a rare bird report. It’s even becoming common for people to record video while digiscoping. There are a variety of ways to bring the camera lens and scope eyepiece together. For smartphones, often the best way is to hold it in place yourself, using a finger between phone and eyepiece both to steady it and keep the lens at the correct distance. This is fast, but it takes a steady hand and there’s a chance the center of the camera lens may not line up properly with the center of the scope eyepiece. When that happens, part of the image is cut off. The two lenses also need to be very close. You’ll get shadows if light leaks in between the scope and camera lenses. Too much space between lenses will also worsen the “vignetting” effect, creating a dark, circular frame around your image. For either cameras or phones, a simple homemade adapter made from PVC or even from a plastic bottle cap, can be attached to spotting scope eyepiece to prevent the camera lens from touching it and to keep it a fixed distance away. There are many commercial adapters, but they are not universal, so make sure you get what fits your gear. There are also pivot mounts that allow you to quickly flip your camera on and off the scope lens to switch from viewing to digiscoping. The magnification produced by digiscoping is just what you need to pull your subject in close, but it also magnifies small movements from wind or a shaky trigger finger. A quality tripod for your scope will provide stable support and prevent your photos from turning into a blurry mess. The combination of scope and camera can be unbalanced when attached to a tripod and you may have to experiment with adding weights to the front of the scope to keep it from tipping. A better option might be to use a quick-release plate on the tripod head. Some of these allow you to slide the scope forward and back to find the right balance. To prevent blur-inducing vibration from the act of pressing the camera shutter, some digiscopers use the camera’s timer. This allows them to press the shutter and then back away while the photo is being taken. Using a cable release system to fire the shutter remotely is another hands-off way to get the picture. Vignetting: the image does not fill the complete field of view, resulting in black corners. You can crop them away after the fact or prevent them by keeping camera and scope lenses as close together as possible. Zooming in will reduce the effect but may also result in a darker image. Shadowing: when light leaks between the camera lens and the scope eyepiece. Practice holding the camera next to the eyepiece of the scope, or use an adapter to eliminate this problem. Dark image: Zooming the camera lens reduces vignetting but can lead to a darker, fuzzier image and increased sensitivity to vibration. You may have to readjust exposure and focus to compensate for murkiness. Blurring can come from moving the camera as the shot is being taken or by vibration from wind and other factors. Make sure you have a sturdy tripod and try putting the shutter on a timer or use a remote cable to vibration. Let there be light: One cause of blurry photos is low light coming through the scope, which forces a slower shutter speed and increases the effect of motion. Using larger, brighter scopes, such as 85-mm models rather than 65-mm models, results in noticeably better digiscoped photos. Resist the zoom: For scopes with a zoom, bear in mind that you quickly lose light as you zoom in. The human eye is good at compensating for this; cameras less so. Take advantage of your camera’s many megapixels by shooting at a lower, brighter zoom setting and then cropping later. Capture motion: Many cameras and phones have a continuous shooting feature that takes photos one after another. This setting can help you catch birds in just the right pose. 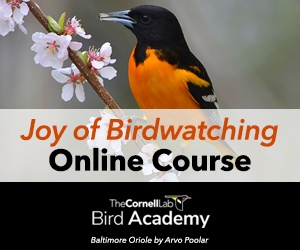 As an alternative, consider shooting video of a fast-moving subject—this is particularly helpful over stills when trying to identify a bird later. Try with your binoculars: Sometimes called “digibinning,” this advanced technique can sometimes produce decent photos. Be warned: it’s hard to hold the binocular-phone combination steady. Practice, practice, practice: Fortunately, once you’ve got the equipment, taking digital photos is virtually free. It may seem impossible at first, but you’ll quickly improve. Don’t be afraid to experiment—you never know what you’ll come away with.